After about 2 weeks of waiting to test the AR Drone flight recorder, as long last the wind dropped under 5 mph! Plugged the battery in and a loud crack. Sadly the electronics in the AR Drone has let me down again, this time it was one of the chips on the motor pcb that decided to nuke itself. 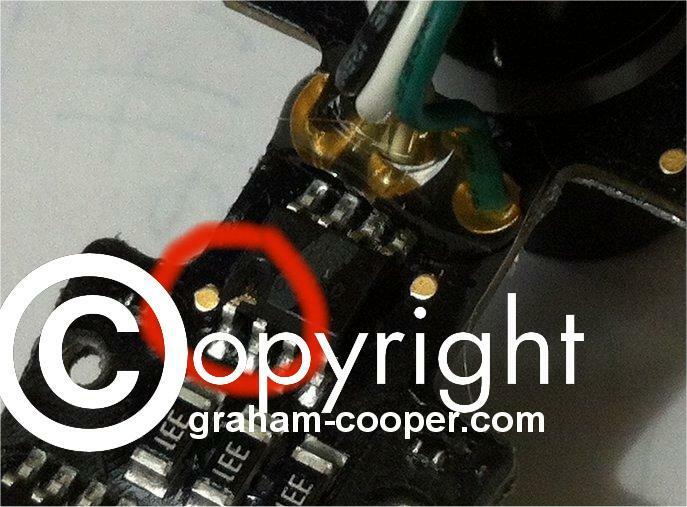 As you can see in picture the bottom left has a part blown off above pin. A new motor from Parrot is around £40! The cost of the part? £2.50 each which i managed to locate locally. Could have got it a lot cheaper from Digikey, but with postage from USA would have cost more anyways. Bit disappointed that again the electronics has failed on this drone though. Hopefully shall get the new part in soon and then be able to test the Flight recorder more.